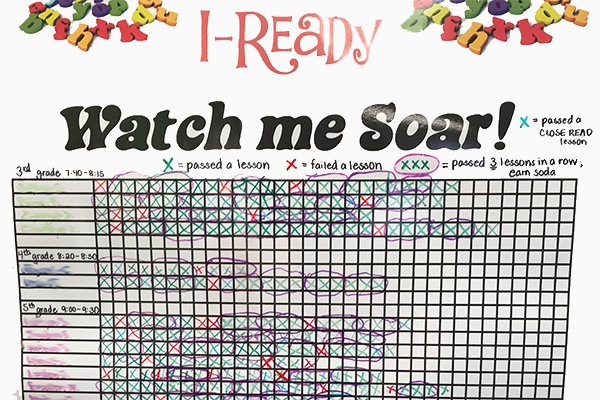 Suzette Martin and Mary Carnahan created a way for their students to be held accountable for their passed/not passed i-Ready Online Instruction lessons by physically tracking them on a poster. They created, posted, and laminated them so they can be reused. 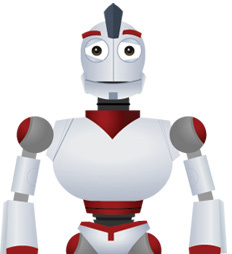 Suzette explained, "Our students record a green X when they earn a 75% or higher on a lesson. When they have earned three in a row, they may choose a small reward. The catch is, if they do not pass a lesson, they must put a red X up and start over. When three lessons in a row have been earned, we make a big deal about it and circle the three Xs with a purple pen. The accountability of not only recording their scores in their daily journals, which they must also do, along with sharing their successes and failures with their peers has changed the overall mindset of all of our students. Our percent of lessons passed has soared and the percentage of students on track to be on or above grade level by year's end is at an all-time high!"